Romeoville, IL – The Performance Center at Mistwood Golf Club near Chicago has been selected among the 2019 list of America’s Best Clubfitters by Golf Digest. The listing can be found in the current December/January issue of Golf Digest and online at Golfdigest.com. “We are very excited to be recognized once again by Golf Digest as a leading club-fitting facility,” said Andy Mickelson, Mistwood’s Director of Golf. “Our customers are benefiting from some of the top fitters in the industry at Mistwood combined with the best technology to get them in the proper equipment and improve their game. Golf Digest broke the list out into state/regional facilities (86) and national chains (14). Individual stores that are part of a national chain were listed under the state where they are located. All venues on the list are accessible to the public. “The 2019 list of America’s 100 Best Clubfitters is the result of detailed consultation of industry sources and a survey of our nearly 1,500-member, nationwide, America’s 100 Greatest Course-ratings panel on the best places in their respective locations,” said Golf Digest equipment editor, Mike Stachura. “We also considered nomination submissions, a detailed application form and reader recommendations of more than 800 facilities (shops, fitting studios, golf courses, practice ranges, teaching academies). The 5,000 square-foot Mistwood Performance Center, located at the south end of the practice range, sets the tone for the golfers looking to improve their games through custom club fitting and lessons. The premier learning facility features 11 climate-controlled stations, two indoor heated bays for year-round fittings and analysis, 32 outdoor stations, the putting lab, fitting center and club-building room. To complete the experience the Performance Center also features a bar, restaurant, and “Turf Room” with amazing views of the range and golf course. 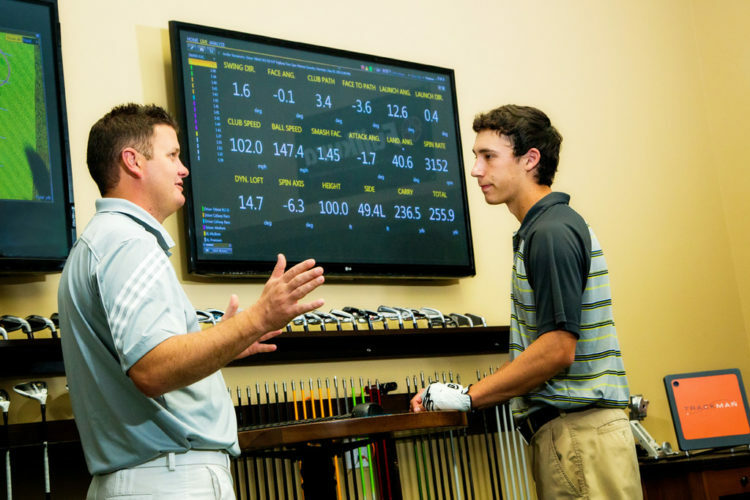 High-tech teaching aides like TrackMan, the GC2 Smart Camera System, a SAM Putt Lab and the Quintic ball motion putting analysis system make the center one of the best equipped game improvement facilities in the country. The “Online Academy” featuring V1 Sports also allows a golfer to receive and review a lesson online using their mobile device. Golfers looking to get fitted before next spring do not have to wait until then. During the winter months, the club-fitting technology moves over to the Mistwood Golf Dome in Bolingbrook. The new dome facility just re-opened in November with Toptracer Range to rave reviews. It is the first golf dome of its kind in the country to have the Toptracer technology. For more information about the Mistwood Performance Center and to schedule your custom club fitting session, visit www.mpcgolf.com/club-fitting. Mistwood Golf Club, which opened in 1998, is one of the most-talked-about Chicago area golf destinations. It features 18 holes designed by award-winning architect Raymond Hearn, a top golf performance center and a spectacular clubhouse facility. Following an acclaimed multi-million-dollar course renovation by Hearn, which was recognized as the top renovation of the year by GOLF Magazine in 2014, Mistwood has become one of the most popular venues in Chicago. The course is wrapped around a beautiful 65-acre lake and features 19 Scottish-style sod wall bunkers bringing a feeling of Scotland to the Midwest. In addition to the award-winning course renovation, there is a new Scottish-style 26,000 square-foot clubhouse and a 5,000 square-foot Performance Center that offers custom fitting, club repair services and instruction. The centerpiece of the new Scottish village-style clubhouse is McWethy’s Tavern, which is made up of a Scottish pub, two dining areas, two outdoor patios and space for private events. Its menu features steaks, chops, sandwiches and other items done with Scottish flair. The building also includes a banquet facility for up to 250 people, pro shop and locker rooms. Mistwood is a unique facility. It can accommodate a golfer’s dream experience for playing and improving, as well as a bride’s dream wedding with amazing food and atmosphere. 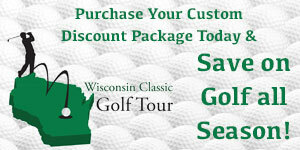 Visit www.mistwoodgc.com.